Get fit now!CALL TOLL FREE....1-855-FIT-LINE (1-855-348-5463) or email us atsupport@finishfit.com. unconditional 30 day money back guarantee! As with any exercise program, you assume certain risks to your health and safety by following Finish Fit®. Any form of exercise can cause injuries if the exercises are performed incorrectly, and Finish Fit® is no exception. It is possible that you may become injured doing the exercises in this program, especially if they are done with poor form. Although thorough instruction is included on form for each exercise, realize that Finish Fit® (like any other exercise program) does involve a risk of injury. Finish Fit® offers a 30 Day, unconditional 100% money-back guarantee — within 30 Days of your purchase you can return the program for any reason if you are not satisfied with the results. However, Finish Fit® cannot guarantee your results. 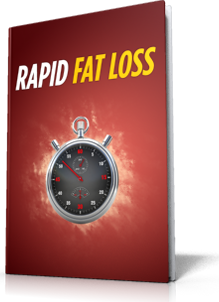 It is possible that you will not lose fat, gain muscle, or get ab definition with this program. It is also possible that you will gain fat, lose muscle, and lose ab definition. Finish Fit®'s story, and the stories of the clients you see on this page are real. However, it must be disclaimed that these testimonials are not claimed to represent typical results with the program. They are meant as a showcase of what the most motivated and dedicated clients can do with the program. Your results may vary, and you may not get the same results when using this program due to differences in your individual exercise history, genetics, and personal motivation. Finish Fit® does NOT take the place of a medical doctor or nutritionist. Finish Fit®'s advice is not meant as a substitute for medical advice. Please consult your doctor before beginning any exercise or diet program. Get fit now!CALL TOLL FREE....1-855-FIT-LINE (1-855-348-5463) or email us at support@finishfit.com. unconditional 30 day money back guarantee! Armen has been my personal trainer for the last 2 years and he has changed my life. As a sports doctor myself, I can tell you that he has an excellent training pedigree, and has always impressed me with how he is constantly trying to learn new techniques to get his clients engaged. It comes as no surprise to me that he spent time working in physical therapy clinics as he and I discuss things like I would with a PT. With regards to results, I have lost 25-30 lbs with Armen's help over the last year. While this may not initially seem like a lot, let me just tell you that my previously way-too-high blood pressure has come down into the normal range, my resting heart rate has dropped about 30 bpm, I've lost 3 suit sizes, 4-5 inches on my waist. More importantly, I am running up and down stairs with ease after years of chronic knee pain, moving more efficiently in daily life. My wife, friends, and co-workers all notice not just the physical difference, but the mental difference in my mood, energy, and general outlook. I would say that I have built up some bad health habits over the last 15 years (I know, doctors are the worst patient's). With Armen, I feel all of these turning around, and I feel that a whole new world of personal health and fitness has been opened up to me, and I am looking forward to pushing forward to the next level! Get fit now! CALL TOLL FREE....1-855-FIT-LINE (1-855-348-5463) or email us at support@finishfit.com. unconditional 30 day money back guarantee! Get fit now! CALL TOLL FREE....1-855-FIT-LINE (1-855-348-5463) or email us atsupport@finishfit.com. unconditional 30 day money back guarantee! I just finished my first 4-week Boot camp with Armen and daniel and I'm really happy with the quality of training that I received from them. I Joined Finish Fit to get back into shape and I really appreciate the time they both take to modify my training to ensure that I get the best results in the safest way possible. Although this is a boot camp, they really make you feel like you're one-on-one with them. I will definitely be continuing on with my training and hope to see new faces in the coming months! My name Elizabeth D. and I've been with the Finish Fit Boot Camp exercise program for 4 weeks. It’s been intense and fun but I am happy with the results. I have lost 1.6 lb’s, my body fat is down 2.3%, and I’ve lost more than a quarter of an inch on my waist. I would highly recommend this program. The trainers are great and a motivating asset. This is essential to help you stay focused and to help you want to maintain your goal of getting physically fit. Thanks Finish Fit Boot CamP! My name is Daissy Gonzalez and my experience with Finish Fit Boot Camp has been awesome!! I've lost 7.4lbs and 1.2% body fat in a month. Finish Fit has not only made me lose weight but has motivated me to continue a more active lifestyle. The people in this program have been a great support and motivation to my progress. They have not only helped me reach goals that I thought were hard to reach but also showed me that with time, dedication and believe I can accomplish all my goals in my life. Lauren has been a great trainer!! She pushes me to reach my limit and believes in me!! I love this program and would highly recommend my friends and family. I want to continue my progress and Finish It With Finish Fit! Thank you Finish Fit!! I participated in the Finish Fit boot camp and lost nearly 4 lbs!! I was a bit scared of the unknown. I wondered if the workouts were going to be too hard or if I'd quit... but I did not quit and yes the workouts were challenging but not too hard. The trainers are awesome. They are knowledgeable, they changed up the workouts so it wasn't repetitive or boring. Working out was actually fun! I love that it was a team effort and my girls, Diana and Blanca were super encouraging and motivating as well. When you are working out in such a positive and challenging environment it makes it so much more enjoyable than being in a gym wandering aimlessly or sticking to only the cardio machines. My goal was to drop weight and I accomplished that!! Armen, Lauren and Brett are absolutely AWESOME!!! Thank you guys it was a GREAT experience!! I would highly recommend Finish Fit. Armen has been my trainer for over a year. He's reliable, knowleadgable, positive, and motivating at the same time! I have some "limiting" medical conditions and he consistently finds modifications so that I can safely do exercises, get a great workout and strengthen my condition. Working out with Armen has changed my life. Truly one of the best trainers out there! My name is Javier Gonzales and I am 26 years old. Before training with Armen I had been a gym member for about 5 years. I would come to the gym 3 to 4 times a week. The problem was I never saw much result so I figured that I must be doing something wrong. My big question was why wasn’t I seeing any improvement? I figured that my best bet would be to get myself a trainer that would help me set my goals and work with me to reach them. Hiring Armen as my personal trainer has to be one of the best investments I have ever made. One of Armens best qualities is he understands his clients and knows how far to push them without over doing it. He gives you proper motivation and works hard with you to reach your personal goals. One of my favorite things about working with Armen is he always explains the workout, informs you what muscle group your working, and tells you what other gym equipment can also help work that same muscle group. When I first began working with Armen we tested my strength by doing some dips. I was only barely able to do four dips. After a couple of months of training my strength had increased four times and I was able to do 16 dips. I am almost near the end of my training sessions and last time I tested myself I was able to do 22 dips. That’s almost 6 times the dips I was able to do when I started training with Armen. I can honestly say that I have seen results and I am happy with Armen's training and motivation. My arms have gotten bigger, my chest and shoulders wider, body fat has gone down, and muscle mass has gone up. Believe me when I say getting a personal trainer works, Armen has proven that to me. My name is Andrea Cruz and I started training with Armen in May of 2009. I was tired of being overweight, sluggish and basically unhealthy. I came and met Armen and we started training. When I started I weighed about 199 lb and I am now down 30 lbs. I really like the fact that Armen has helped me lose weight. He definitely tries to find the best ways to work out for each client. I personally like that he goes that extra mile for me. He knows just how to push me and help me benefit from each workout. He has offered me advice with diet and exercise. Since starting with Armen, I have changed the way I eat and how I exercise. I am so glad I met Armen. He is very encouraging and knows how it feels to lose weight. I feel and look great now and many of my friends and co-workers state as such. Of course, there is always room for improvement. Still training with Armen was the best decision I’ve made for myself and my health. Armen you’re the BEST!